Space Rocket Nation recently released information that production of Nicolas Winding Refn's (Bronson, Valhalla Rising, Drive, Only God Forgives) new film "The Neon Demon" has started. The film set to star Elle Fanning (Maleficent), Jena Malone (The Hunger Games: Mockingjay Part 1), Karl Glusman (Stonewall), Bella Heathcote (Dark Shadows), Abbey Lee (Mad Max: Fury Road), Desmond Harrington (Dexter, Gossip Girl) Christina Hendricks (Drive), and Keanu Reeves (John Wick, The Matrix series). Space Rocket Nation announced today the start of production in Los Angeles on NWR's The Neon Demon: When aspiring model Jesse moves to Los Angeles, her youth and vitality are devoured by a group of beauty-obsessed women who will take any means necessary to get what she has. Regarding the commencement of principle photography, Refn said, "I very much look forward to the odyssey I'll be taking with all these wonderful actresses (and a few guys) to travel beyond The Neon Demon where all I see is the wicked dying young." Directed by Nicolas Winding Refn (Bronson, Valhalla Rising, Drive, Only God Forgives) with a screenplay co-written by NWR and Mary Laws, the film's principal cast includes Elle Fanning (Maleficent), Jena Malone (The Hunger Games: Mockingjay Part 1), Karl Glusman (Stonewall), Bella Heathcote (Dark Shadows), Abbey Lee (Mad Max: Fury Road), Desmond Harrington (Dexter, Gossip Girl) Christina Hendricks (Drive), and Keanu Reeves (John Wick, The Matrix series). 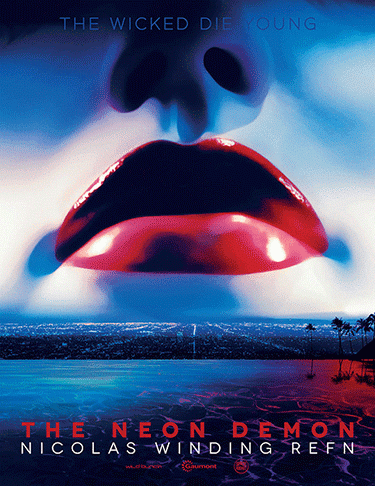 The Neon Demon is produced by Space Rocket Nation's Lene Borglum in association with Wild Bunch and Gaumont.